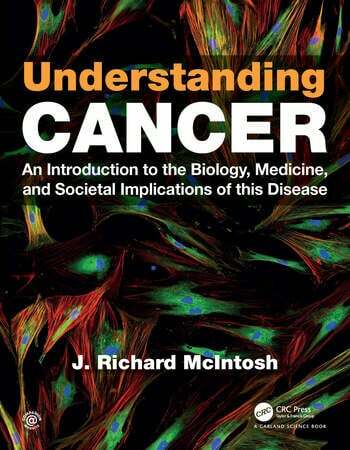 Understanding Cancer is a brand-new undergraduate textbook that uses simple language and well-chosen examples to explain the biological processes that underlie cancer and inform our methods for the diagnosis and treatment of this disease. The book has been carefully designed to provide key information relevant for students seeking a broad and accessible introduction to the cancer problem, even if they have no prior training in biology or chemistry. 1. Cancer and the Biology of Human Cells. 2. Cancer Detection, Diagnosis, and Prognosis. 3. The Organization of Normal Human Cells. 4. How Normal Cells Reproduce and Differentiate. 5. Factors that Promote the Cancerous Transformation of Cells. 6. Oncogenes and their Role in Cancerous Transformation. 7. Tumor Suppressors and their Roles in Resisting Carcinogenic Transformation. 8. Medical Treatment for Cancer. 9. The Immune System and its Relationship to Cancer. 10. A Perspective on "Cancer Futures". J. Richard McIntosh is Distinguished Professor Emeritus in the Department of Molecular, Cellular, and Developmental Biology at the University of Colorado, Boulder. He taught freshman biology for 20 years, cancer biology for nine, and graduate cell biology for 45. His research has focused on mitosis, earning him an American Cancer Society Research Professorship and election to the National Academy of Sciences, USA.